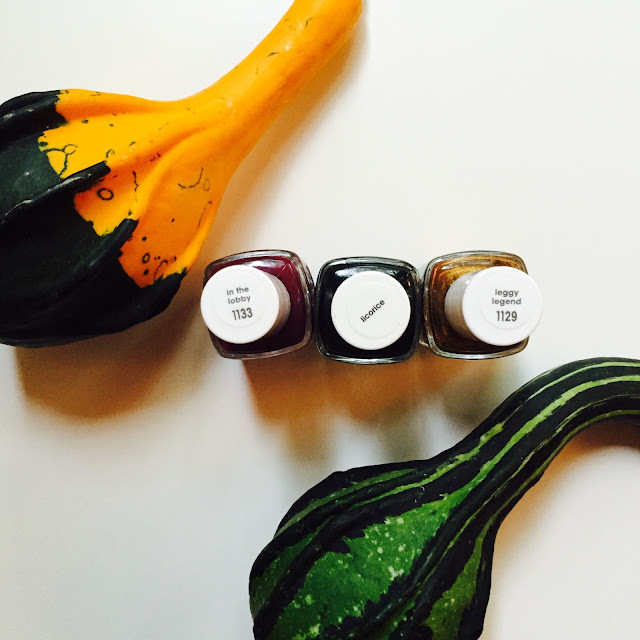 in the lobby is a new 2015 fall color that is dark, yet packs color, and is oh-so-fall. 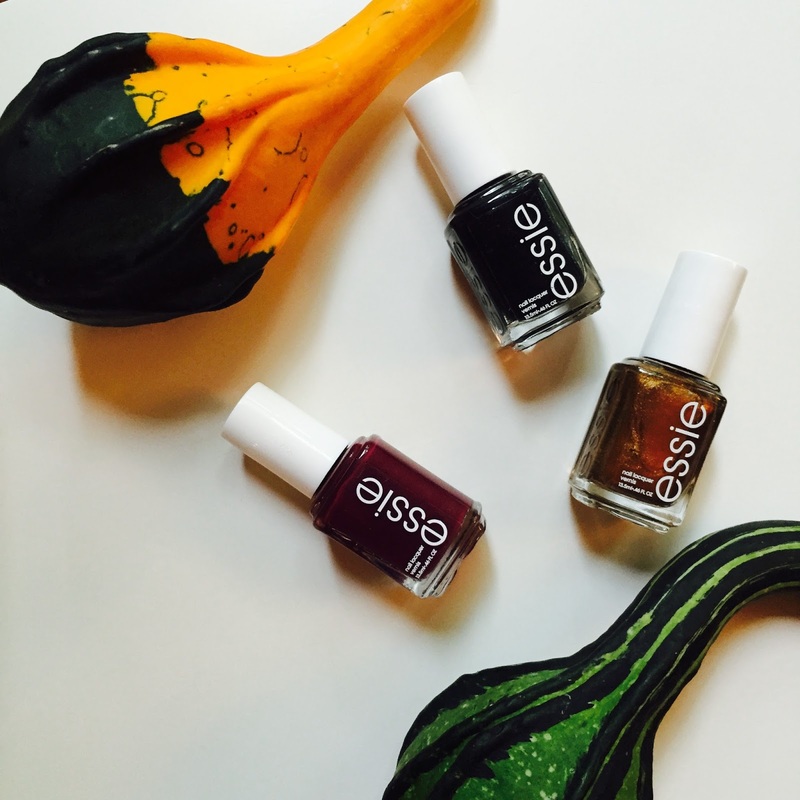 licorice has been a long time fave for this time of year, especially on Halloween! And finally, leggy legend, can I tell you that I've been stopped while out-and-about to be asked about this color? It's also a new color for this fall, and it just might be my go-to this year. 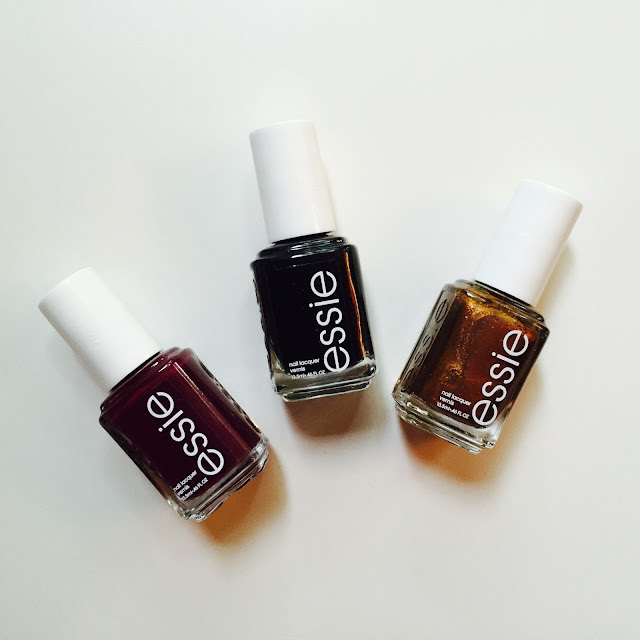 It's a metallic shade, so it's super forgiving while doing an at-home mani, and the color just goes with everything! It's less orange-y when applied, and almost seems to change depending on what you're wearing (or holding, as in the photo below, ha!). 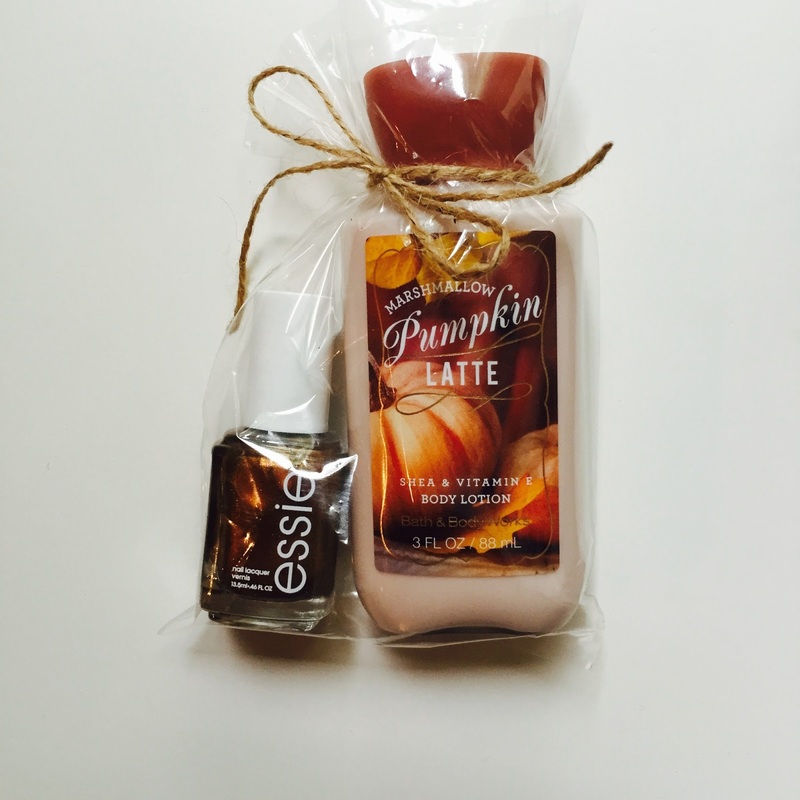 And how cute is the leggy legend polish bundled in a little autumn gift pack? Perfect for a special teacher or babysitter! I put a link in the post where it's available at Nordstrom with free shipping! Score! I love these! I always stick to my usuals, but I am going to try Leggy Legend! It's so cute! Love licorice for fall too...am going to be on the lookout for the others! !